Joseph Skokan | PS Affordable Bankruptcy | Piletich and Skokan, P.A. Joseph A. Skokan is a 1994 graduate of William Mitchell College of Law in St. Paul, Minnesota. Since 1996, he has focused his practice exclusively on representing individuals and small businesses in bankruptcy. Mr. Skokan has participated in thousands of bankruptcy proceedings and argued cases for his clients before the Bankruptcy Appellate Panel and the Eight Circuit Court of Appeals. 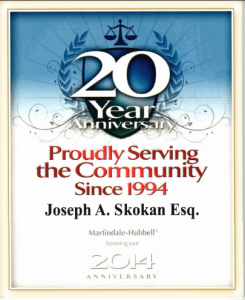 Since 2002, Mr. Skokan has been a partner in Piletich & Skokan, P.A. where he represents clients in Minnesota and western Wisconsin. He takes a plain-language approach to the law, and strives to make a difficult process as stress-free as possible.